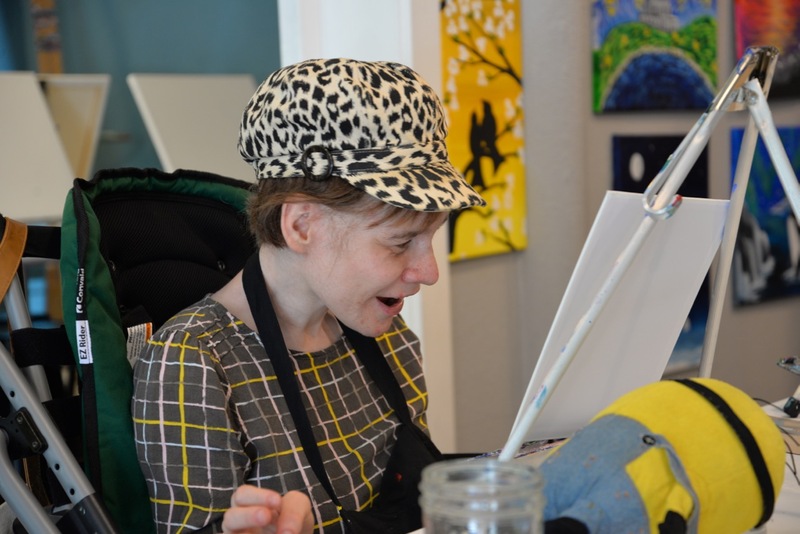 Community Guide and Community Engagement Services are flexible, individually designed services to help individuals with intellectual and developmental disabilities connect to their local community and reach goals that they set for themselves. A person can have more than one goal, or change goals as they discover more about themselves, meet new people and connect with their community. The goals are typically short-term, lasting 3 months to a year; however, service hours can be renewed at the person’s annual service planning meeting. Services are provided by an individual or agency who is contracted with the Developmental Disabilities Administration (DDA). A provider may not be a parent of the participant or an employee of Aging and Long Term Care Services Administration or DDA. 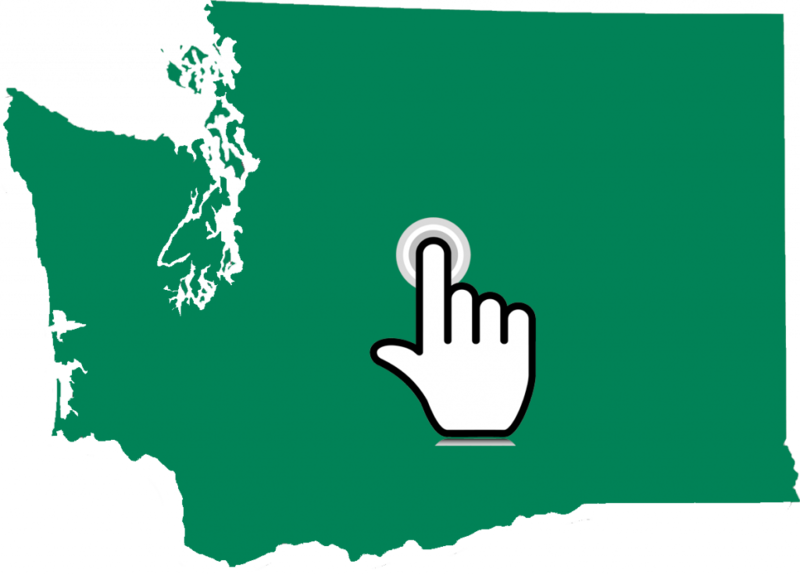 For a listing of providers by county, visit our locator map. Community Guide services are for individuals enrolled in DDA’s Basic Plus and Core waivers. 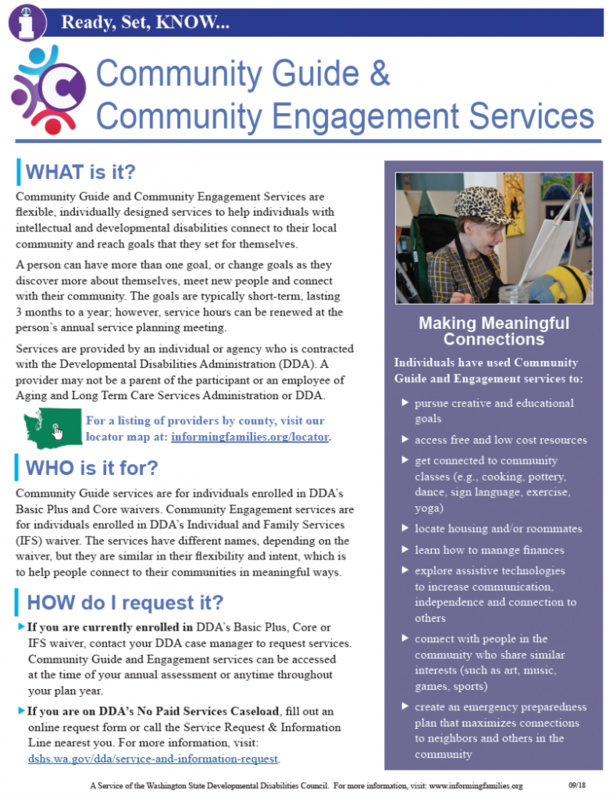 Community Engagement services are for individuals enrolled in DDA’s Individual and Family Services (IFS) waiver. The services have different names, depending on the waiver, but they are similar in their flexibility and intent, which is to help people connect to their communities in meaningful ways. at the time of your annual assessment or anytime throughout your plan year. If you are on DDA’s No Paid Services Caseload, fill out an online request form or call the Service Request & Information line nearest you.